Planning for our annual hospitality and tourism awards is underway. This year, re-imagined as the Destination Madison Awards (DMAs), there will be new awards and greater opportunities to celebrate YOU. Look for new categories including the Rising Star Student Award which will recognize the next generation of hospitality professionals, and the Shining Star Award which will honor an organization that goes above and beyond for our community. Save the date and join us Tuesday, June 25 from 4:30 – 6:30 p.m. at The Edgewater. Nominations will open soon! 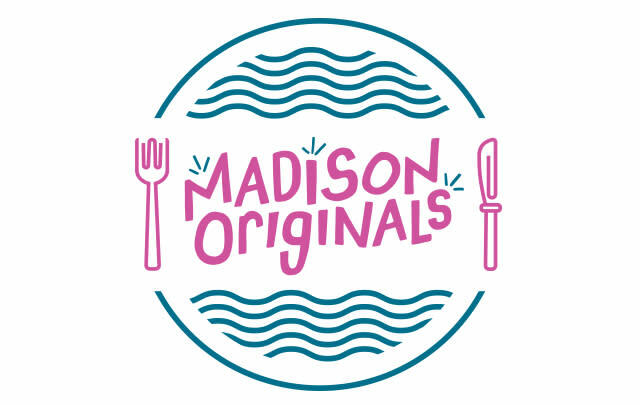 Madison Originals is a non-profit organization of local, independently-owned restaurants dedicated to cultivating a vibrant, independent dining scene. Tell us about Madison Originals! Madison Originals was founded and created to support independent restaurants in our great city and surrounding communities. For over a decade, we have been building a tightly-knit family of brilliant restaurant owners and affiliated local businesses who strongly believe in our cause. Together, our main goal is to deliver amazing dining experiences to locals and visitors. How do Madison Originals restaurants embody the spirit of Madison? When we think about what defines Madison and makes our city such a great place to live, hands down, one of these factors is food. When we think about who Madison Originals is and what we strive to be, we are your favorite restaurants, your go-to’s, your date night and the exact places you’d recommend to someone visiting Madison for the first time. We are the restaurants that help articulate the dining scene in Madison. From Lombardino’s, to The Wonder Bar, to Essen Haus, to 1847 at the Stamm House, to Liliana’s Restaurant, to Dotty Dumpling’s Dowry, to Brasserie V, to The Old Fashioned, to Banzo, to Dobhan, to Manna Cafe & Bakery, we offer tradition, history, culture and local flavor. Alongside many great organizations in Madison, we are looking to strategically grow and evolve. In the past year, we’ve added Parthenon Gyros, Rockhound Brewing Company, Longtable Beer Cafe and Yola’s Cafe. Each offers an insanely delicious menu for our customers and has provided incredible leadership and insight for our organization. Feed the Need is coming up on April 7. What can attendees expect to see at this year’s event? 2019 is an exciting year for Madison Originals, as we are planning two community events! The first is the 4th Annual Feed the Need event on Sunday, April 7th with our wonderful partner, The River Food Pantry. Feed the Need is an open-to-the-public tasting event, where guests can sample delicious food and drink from 15+ Madison Originals restaurants. This is an event that truly gets bigger and better each year. You also get to enjoy live music and silent auctions, all benefitting the River Food Pantry. Early bird tickets are $40 and can be purchased here. The second event is our first annual Madison Originals NOSH event on Sunday, June 9th. NOSH is a family-style 5-course dinner under the beautiful white tents at Quivey’s Grove. NOSH will feature cuisine from Madison Originals restaurants and associate partners. Guests will get to indulge in a cocktail hour with small bites, live music and five delightful dishes. NOSH will be a true celebration of Madison Originals, our community and will definitely be a night to remember. Tickets are $100-125 and can be purchased here. Specific courses and featured restaurants will be announced soon! 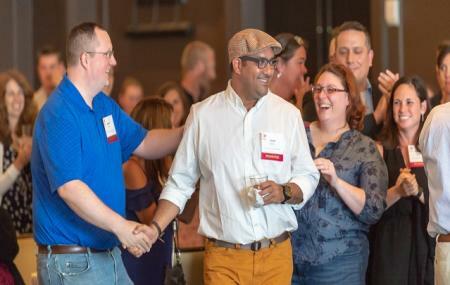 Why do you partner with Destination Madison? We love working with Destination Madison because our relationship is the definition of a partnership--we believe in each other and support each other’s mission, vision and goals. In other words, it completely makes sense. Destination Madison knows the power of great food and what it does for our city. We, as Madison Originals, know our city would not be the same without Destination Madison and all they bring to our community. What are the top three things our readers should know? 1. Madison Originals is made up of 42 independent restaurants (50 locations) and 27 associate members. Some of our longest standing members include: Quivey’s Grove, Lombardino’s, Tornado Steak House, The Nitty Gritty, Dotty Dumpling’s Dowry, Imperial Garden West, Essen Haus, Nau-ti-gal/Mariner’s Inn/Captain Bill’s, Paisan’s and Porta Bella. The first is a group gift card that can be used at any of our 50 locations (and never expires, yep, NEVER!). These gift cards can be used multiple times and at multiple locations. The second is a gift card to one specific restaurant. These are sold on a quarterly basis, and at a discounted rate (up to 35% off!). Because our restaurants have little to no out-of-pocket costs to join Madison Originals (pretty cool, hey? ), the sale of these gift cards is how restaurants pay their member dues. These gift cards have a one-year expiration. 3. We believe so strongly in our partnership with Destination Madison and the support they offer independent restaurants. Each of our restaurants is a partner with Destination Madison, which allows them to attend workshops, networking events and gain access to marketing/advertising opportunities. In our opinion, it’s one of the best perks of being an MO member! One of the world&apos;s leading travel companies with an extensive brand portfolio that includes some of the world&apos;s most trusted online travel brands. Powering over 200 travel booking sites in over 75 countries, our brands include Expedia, Hotels.com, Orbitz, Travelocity, Hotwire, Egencia, trivago and HomeA. 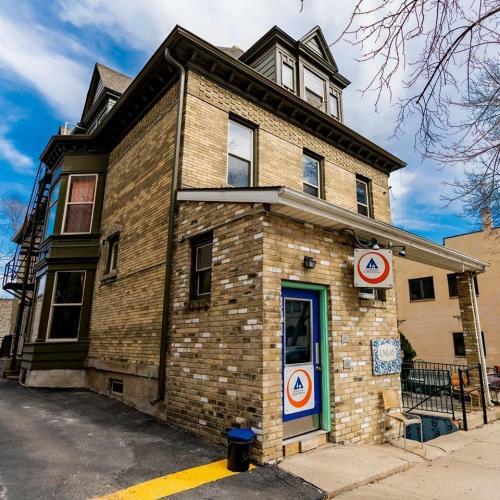 Looking for a cozy place to call home when you visit Madison? Look no further. Located in the vibrant neighborhood surrounding the State Capitol Building, we make it easy to enjoy all the city has to offer.